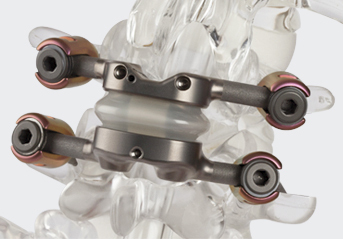 Typical spinal fusion systems offer only one or two screw placement techniques. Premia Spine offers five different techniques including a traditional open approach in one small instrument kit. 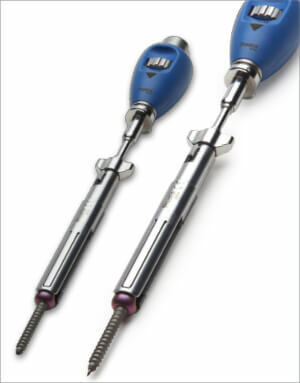 With different techniques from which to choose, the surgeon can select the safest, most effective, and most time optimizing technique for each screw placement. ProMIS surgeons use multiple techniques in the same surgery based on the size of the patient’s pedicle, anatomy, and level of screw placement. Premia has created interchangeable and multi-functional instruments so that the instrument kit is small and versatile, and the screw insertion time is minimized. 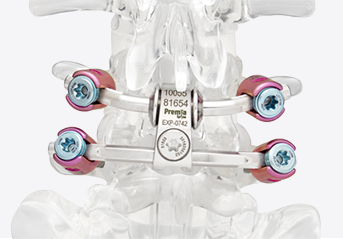 In addition to the Direct Skin-to-Screw Technique, Premia Spine offers a traditional reusable Jamshidi, novel Tapshidi, and unique K-wireless/dilator techniques. Premia Spine provides a reusable Jamshidi instrument. Our Jamshidi offers a more robust interface than a plastic Jamshidi and the ability to directly aspirate via its cannulated core or our pedicle screw, saving $150-$300 per procedure. As part of the Jamshidi technique, surgeons often use a tap to overcome hard bone. In these situations, Premia reduces the 10-step Jamshidi technique to 6 steps. The reusable Tapshidi instrument integrates the threads of a tap with the function of a Jamshidi. The result is a single tool for tapping and concurrently placing a k-wire deep into the pedicle—saving operating time and $150-$300 per procedure. Surgeons have concerns with k-wires, such as breaching the anterior wall of the vertebral body and hitting major blood vessels. Premia’s dilator approach allows surgeons to place a screw through a tube to protect the soft tissues from the screw threads and avoid a k-wire breach. The technique relies on three dilators to widen the initial entry point created by the pedicle awl and to precisely and accurately guide the screwdriver to pedicle screw’s ideal bicortical position. Has a doctor indicated that you must undergo a lumbar spinal fusion? Have you been diagnosed with Lumbar Spinal Stenosis and/or Spondylolisthesis?